With high aspirations, and the experience of City Business Centre Timișoara behind us, we’re trying, together with the people at The Office, to achieve an ambitious goal: number 1 on the office market in Cluj-Napoca. Offering facilities in tune with its ambitions, such as the possibility of hosting up to 1000 employees per floor, in a single open space which measures 9000 square metres, a BREEAM – certified green building, over 1700 underground parking places, green spaces, diversified services and location in the very heart of town, The Office Cluj-Napoca already places itself all the way up there, at the top. Or, in other words, the first pillar that sustains such a project. As soon as the strong partnership NEPI – Ovidiu Șandor was announced, our PR man, a super-specialist in the field of real estate, tailored the best solutions and the most interesting approaches for visibility and value added. The average media value generated so far? We can say we’re quite happy with it, and we just love six-digit numbers. When you have so many key messages to transmit and so many strong points to communicate, you’re flooded by articles, interviews and reports in the business media and local media in Cluj-Napoca. Then, with a project this size, organising conferences and events is something that fits like a glove. We like that too. And so does our client. 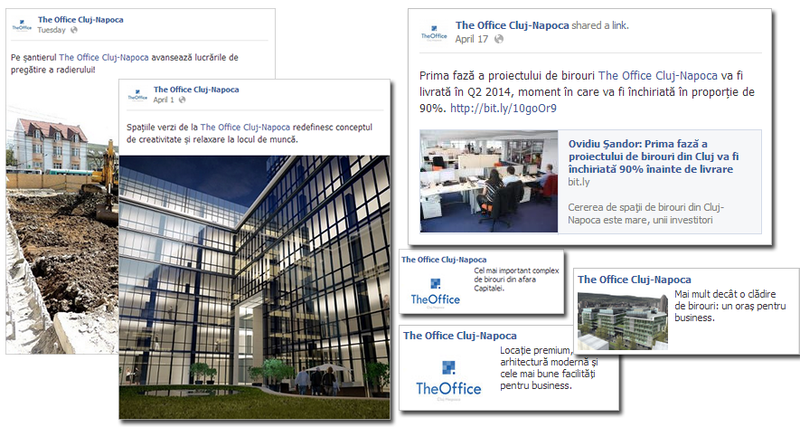 We were selected to create and manage the Facebook page of the largest Class A office complex in Cluj-Napoca. We’re conscientious, so we set out to work: we started off the page, we devised a Class A+ editorial plan, and we carefully chose renditions to help you see with your own eyes the place where you’d like to work. We looked for people who might be interested in this project, we selected them and passed them on to Facebook Ads. Let’s wink at each other J. 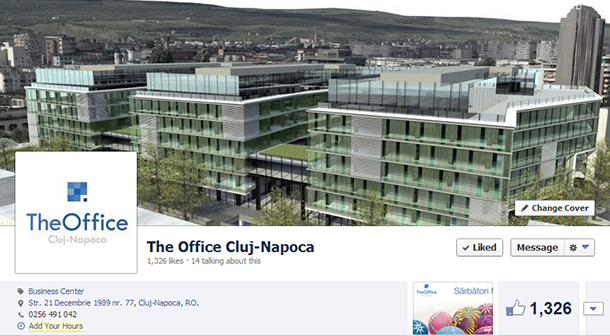 At the moment, over 2500 “targets” seem delighted by what will be The Business Hub of Cluj-Napoca. We analyse everything that moves on The Office website, we know who’s coming, who’s going, where they’re from and how much time they spend on the site. We track their steps, we know what pages they prefer, and that helps us understand their preferences. Next, we improve and adapt in order to offer them exactly what they are looking for. 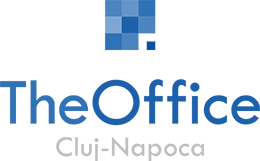 This is a very good collaboration with an ongoing potential for development, for getting involved in other projects and new directions, with support from the EBIG team. We promise to deliver know-how and involvement, as we do for all our clients, in the spirit of a win-win relationship. The Office Cluj-Napoca is the biggest class A office building outside Bucharest, with its structure spanning 55,000 sqm of rentable office space by the end of 2016.